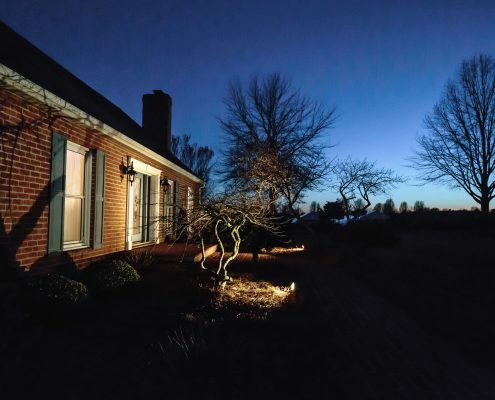 Add Ambiance To Your Outdoor Spaces At Night With Landscape Lighting. Landscape lighting extends the boundaries of outdoor spaces and creates a visually striking look for your home and gardens at night. Create a calm mood for intimate evening conversations with gentle landscape lighting around your deck or patio or enjoy a peaceful nighttime swim with subtle landscape lighting around your pool. 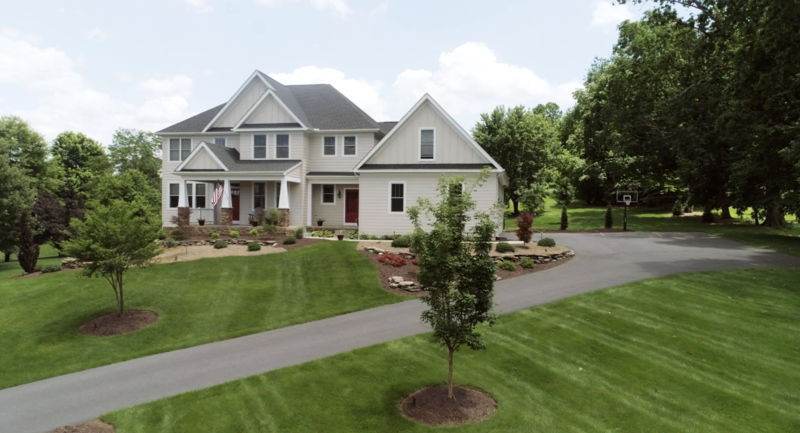 Landscape lighting adds definition to your home’s unique architectural features and lets you enjoy your beautiful gardens and beds through the evening. 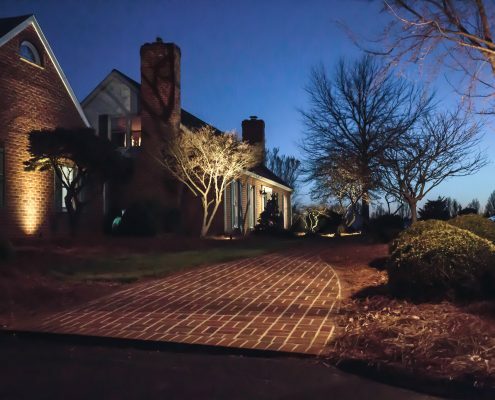 Path Lighting Safely Guides Your Family and Friends Around Your Property. 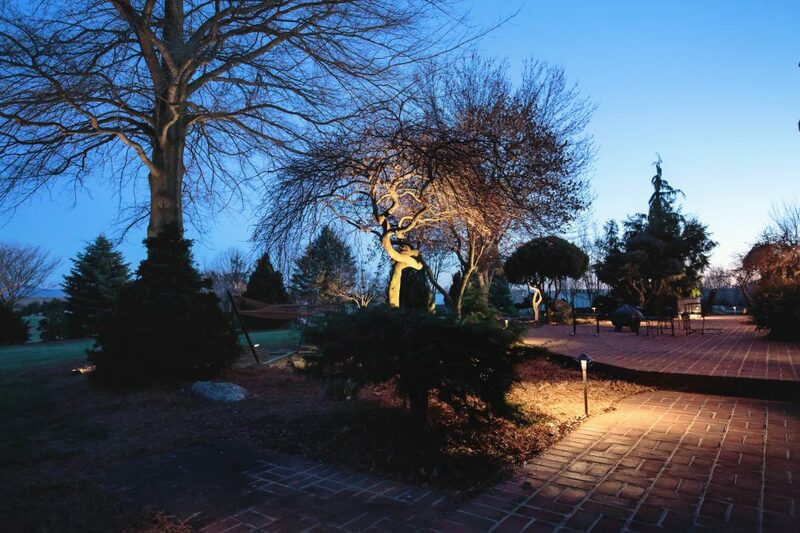 For landscaping design enthusiasts, landscape lighting is an excellent way to draw attention to specific parts of your garden. 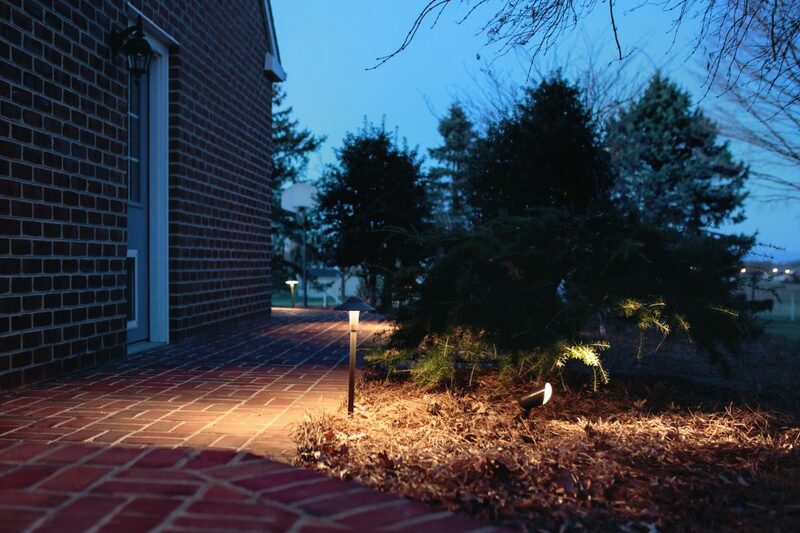 Path lighting also has significant functional benefits in addition to the beautiful aesthetic created by a well-lit path throughout your property or around your garden. 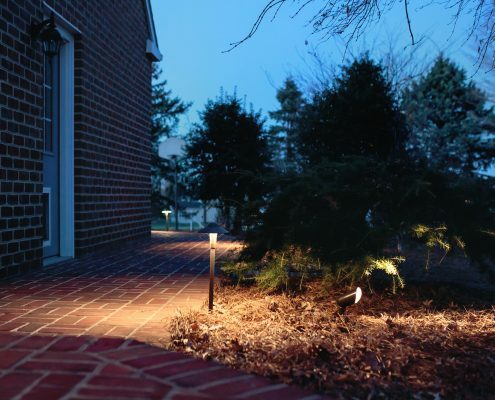 Keeping your walkways, pathways and patios well lit allows your family and house guests to safely walk around the property. 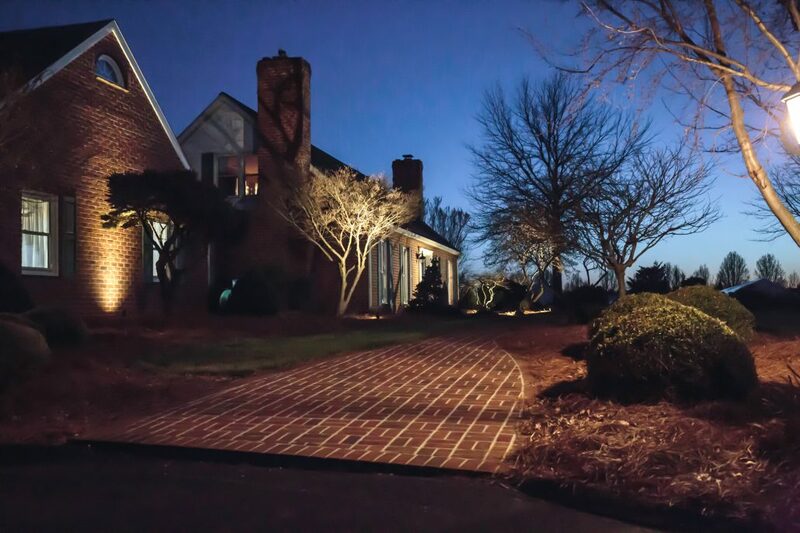 Proper light spacing ensures that pathways look balanced and remain evenly lit. 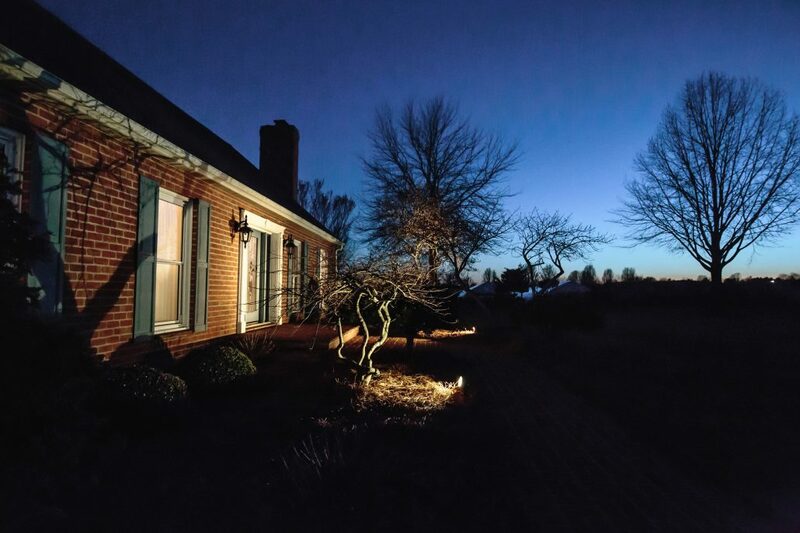 LED Low-Voltage Landscape Lighting Offers Maximum Light And Peak Efficiency. 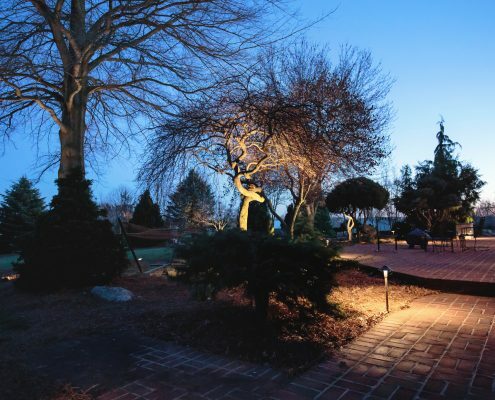 The high-performance, low-voltage landscape lighting installed by Shreckhise Landscape & Design provides high quality lighting you can count on. Low-voltage LED lights use a very small amount of power to provide proper lighting, ensuring an effective ambience that’s energy efficient. Check out our gallery for examples of our work. 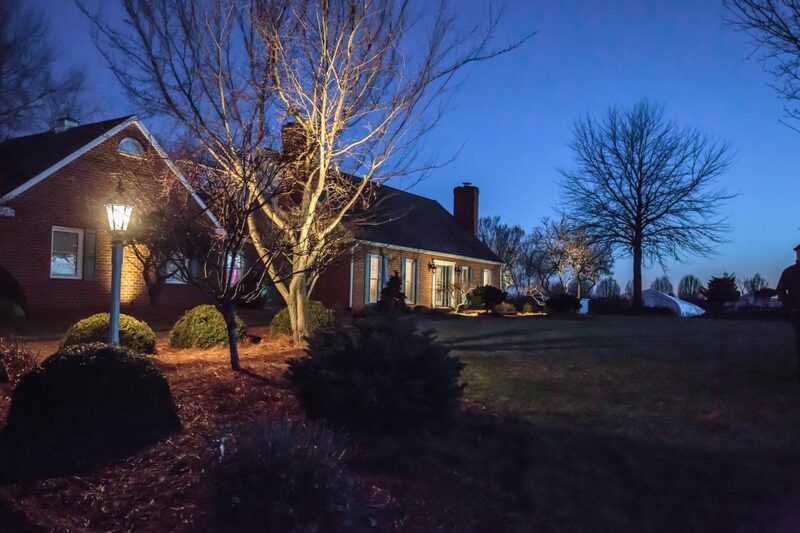 Landscape Lighting Improves Home Security And Gives You Peace Of Mind. 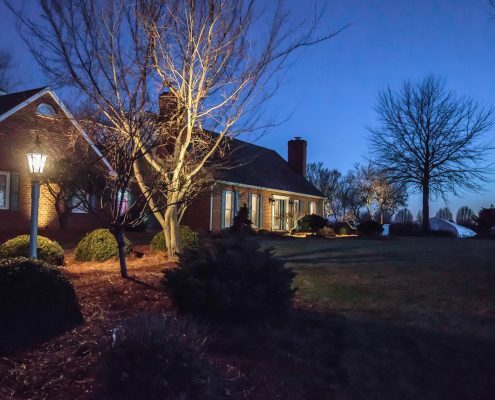 Having well-lit walkways and yards is a natural deterrent for those who don’t belong on your property. Keeping your outdoor areas illuminated both invites your guests in and provides safety across the parameter of your property.